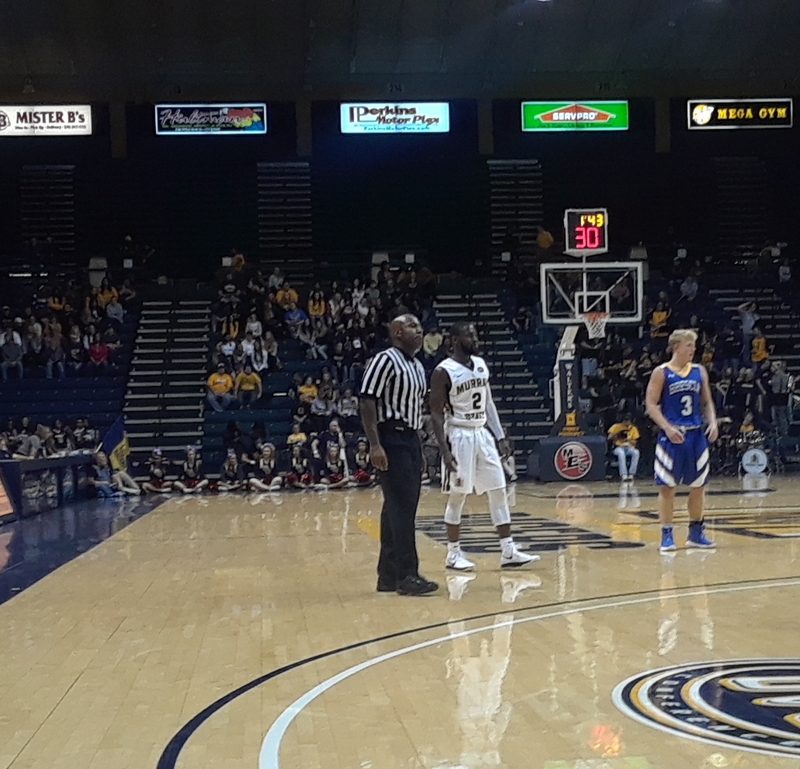 Murray State came into the game against Brescia as a 35 point favorite according to the Massey Ratings. But, they won the game by 57 points. Defensively, they were much better than they were last week against McKendree as they did a good job of challenging shots both on the perimeter and in the paint. As a result, they blocked six shots compared to just two in the game against McKendree. Brescia shot just 31.9 percent from the field and 24 percent from 3-point range. Byron Hawkins was on fire as he hot 10-of-13 shots, 5-of-7 from 3-point range, and scored 28 points. That was great to see. But it was even better to see the way his teammates reacted. Sometimes players hunt shots, especially if they are used to scoring and someone else is putting on a show. No one did that. Jonathan Stark averaged 21 points last year. But he was content to take just four shots last night. He hit all four of them and scored 13 points. Ja Morant scored 24 points against McKendree. He took just five shots last night and scored seven points while dishing out 11 assists. One of his assists led to a spectacular dunk by Shaq Buchanan. He also hrew a terrific no-look pass to Jalen Dupree for a layup. Anthony Smith finished better than he did against McKendree as he scored 10 points. He also made 6-of-7 free throws and grabbed seven rebounds. He's not big and he's not a great leaper. On play he had his shot viciously blocked. But, he plays really hard and he makes things happen.